Description: Comparison diagram or comparative diagram is widely used in many different business or academic fields. In a comparison chart, comparisons can be amde between two or more objects, or groups of data. 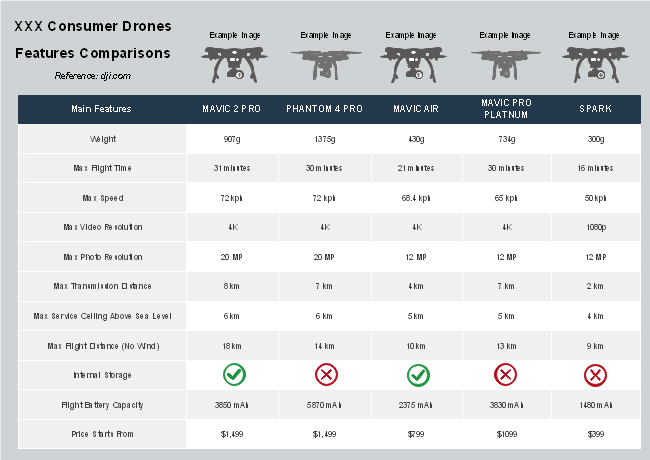 Feel free to use this DJI consumer dronws features comparison template to present your own data.